August | 2014 | Love, Life & Poetry. 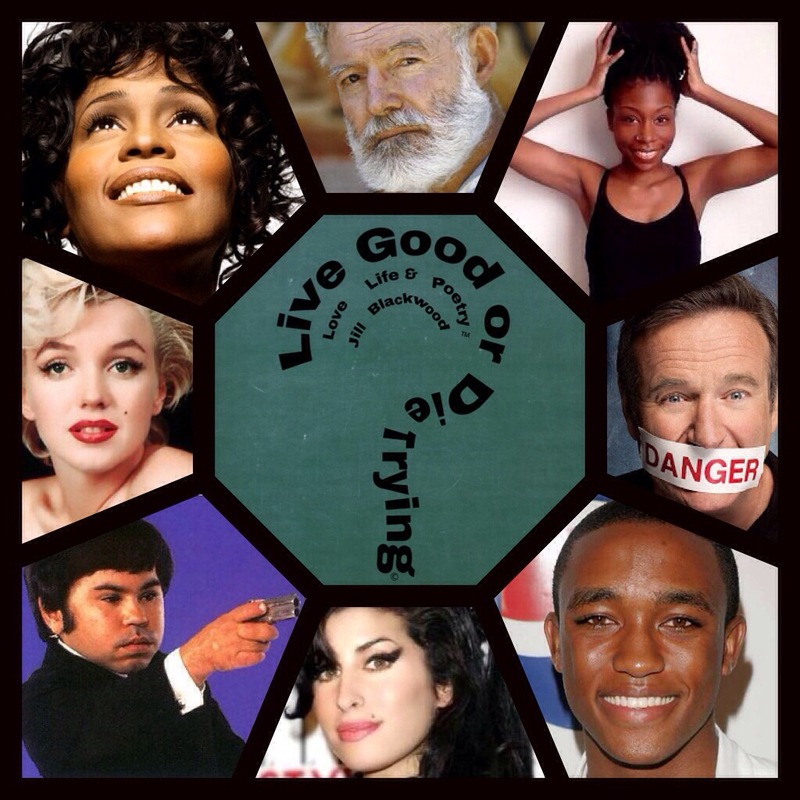 Live Good Or Die Trying! Whatever will I be without you inside me? Its undeniable and unexplainable and all the other ‘un’words that have meanings I could use…. Help me explain to you? coz I was born this way? Spiritual & Magical By Default! I attempt to hide it in my smile and you see right through me perfectly! Undeniably, Unexpectedly & Unexplainably…You Complete Me! It Is A Dis-ease With No Cure, Only Addictive Meds or Alcohols & Class A,s That Temporarily Ease The Pains & Hush The Head Noise…You Cannot Meditate It Away! It’s often the people we least expect to be depressed who live daily with a deep darkness and emotional turmoil, covered by smiling eyes, talkative lips, plenty jokes, bright personas, bubbly characters & almost magnetic qualities! You Start To Think Death Silences The Noise and Stops The Pain of Living…sad but true! If Someone Is Determined NOT To Live, Nothing Can Save Them. I PRAY THEY ARE ALL IN PEACE NOW…LIFE, GOES ON…WE HAVE TO CARRY ON! And no matter what we do upon this earth or how we spend our time…. Life Goes On, births, deaths, wars, peace….LIFE Continues – the only guarentee we have is this: we all gonna die, sooner or later, our time is limited in these bodies we live in. So, If You Are Sad & Feel Lonely Please Tell Somebody…Reach Out To A Friend or Call The Samaritians…Remember – YOU Are NOT Alone! May I be excused from the world please? Can’t Fly Away? Then Wave Hi to Healing Luxury and Kids Fun at Butlins Bognor Regis…yup in the UK!! #Just Live Happy or Dressback Yo’Self!!! The Revolution Was Not Televised! Follow Me... I Know The Way!